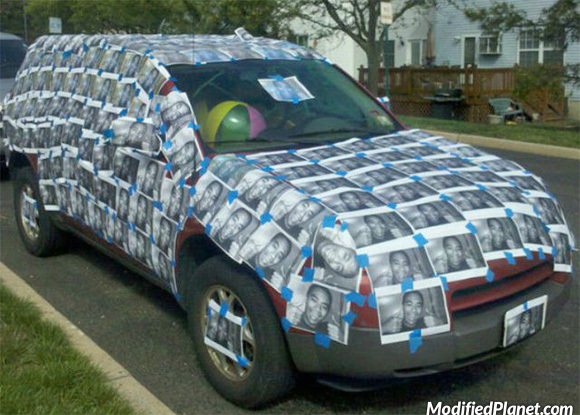 Someone pranked the owner of this 2005 Saturn Vue by covering it with pictures of his face. 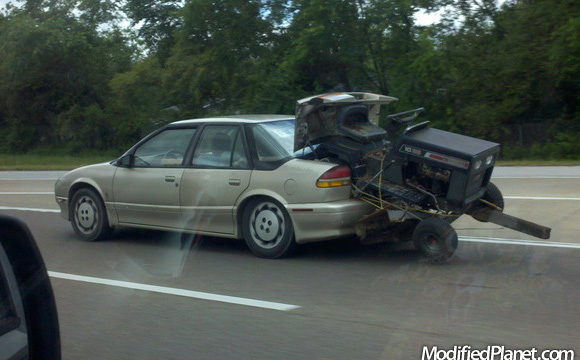 Owner of this 1995 Saturn SL2 decided to his lawn mover by dumping it into the trunk. Car fail.